Arguments with my children always bring out the worst in us. When tempers flare, voices rise and while we are trying to teach them what ends up happening is a power struggle. With a strong personality in a kid (aka a strong-willed child), sometimes the argument becomes a power struggle. Does this sound familiar? If your child always needs the last word then there is an awesome statement I have learned to use to defuse the situation. In my house lately the arguing and pestering has been growing between the siblings. When it escalates and I have to reprimand them then begins the power struggle. 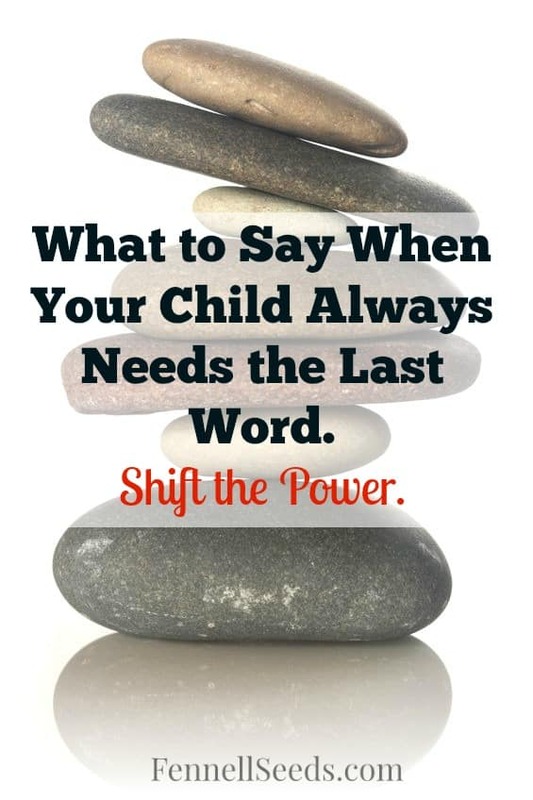 When you know the argument is over but the back and forth is still going on because your child just has to get the last word here is how to shift the power. This shifts the power. Instead of them taking control, you have decided to give it to them. Amazing stuff, right? I love when I find something out like this. I always need new parenting tricks up my sleeve. 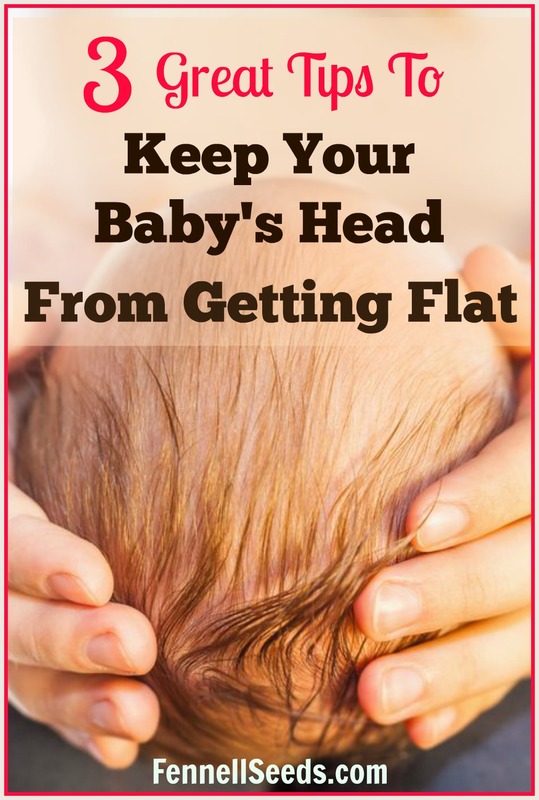 Parenting forums, books and mommy groups are just invaluable for this type of information. If you want to change the environment in your home and set some new expectations, check out Becky of Your Modern Family’s Parenting Manual 101 course. She has game changing ideas for setting routines, fighting entitlement and discover your kids “currency”. I have learned a lot of helpful tips from Love and Logic by Foster Cline and Jim Fay. An example of when I use it is When Your Child Stalls When You Are Trying To Get Out the Door. I am currently reading Siblings Without Rivalry by W. W. Norton and Co. and it has some great tips. I will write about it when I have finished and tested out what I have learned on my own kids. Do you have any favorite parenting books or phrases to use to share with me? I love having new tips. This is great! My daughter is the one who has to have the last word. When she is arguing with my husband, I think it’s funny and a I like it. But when she does it to me, I go crazy! These are great tips! Thank you for sharing! Haha I remember being the one that always needed to have the last say (sorry, mum). This is a great technique! It’s crazy what a difference a slight change in what you say makes. I am not a parent but definitely feel that this is strong message, even when we have arguments with adults – shifting the power seems to make a lot of sense! Sorry I cant see how this is helpful… Does the child not therefore feel entitled to have the last say? They have just been given the floor and the parent’s authority is neutralised. Not tryimg to be difficult – just seems to me the phrase has created a new problem altogether. Agree. If I said this to my son it would then again start the argument over again! Yes!!! My daughter would just start another rant!!! Here’s the thing about “the last word,” in any argument. The only reason it’s a problem for your children, husband, or anyone else to have the last word is because YOU want to have the last word as bad as they do…which is why the argument persists. I think the first step in this is to search your own heart–do you want the last word because of your own stubbornness and what does this teach your children? Yes, our children need to listen and respect us. But I have found that is best gained by NOT arguing back and forth with them, not adamantly being sure to get the last word yourself so that they can’t. That is quite immature and it does not gain you respect. When I say something to my children, they know that it’s final and there is no need to argue. If they do argue, they are wasting their breath because I do not engage them. And the situation dies out quickly. Sometimes people come across as wanting the last word when in truth what they want is for the conversation (or argument) to continue. That said, the statement you offer here does give a child the opportunity to stop and think about their attitude and it gives an opportunity to have a real discussion about what kinds of people always want the last word. Love this. The term “shift the power:” articulates it so well. I needed this like 10-12 yrs ago. I am going to try this tomorrow! Thanks for sharing! Love this idea! My twelve year old son is in that phase of always having to have the last word lately and I am definitely doing this! Yes, my boys are definitely going through this phase too. I hope it helps. Interesting…I will certainly try this shift of control on my youngest teen boy…he always seems to want the last word or question everything we say…I’m sure I will shock him when I ask him if he’d like the last word 🙂 Thanks for sharing. I really do need to add Love and Logic to my list of reads. I have never tried that phrase that you mentioned above but you can guarantee I will be using it immediately. I am always looking for new options on how to overcome the power struggles and back talking. Love your article! This is genius!! I feel like it could be used in a lot of different situations such as work or any argument. I love this idea! I need to reread Love and Logic and pick up Siblings Without Rivalry. I have two boys right now and while they are very competitive now I would like to be prepared if it happens in their ten years (theyre 8 & 6 now). I am going to pin this, and come back this afternoon to browse around. I saw 4 or 5 articles I want to come back and check out. Thanks for the tips!